The Missouri Author Series is a book series dedicated to authors residing in Missouri or writing about Missouri in the genres of fiction, poetry, and creative nonfiction. No children’s or young adult literature, please. This series began in 2014 and will be an ongoing endeavor for Moon City Press with the Missouri Center for the Book. Books in this series are chosen by the press’s nominating committee and not by submission. 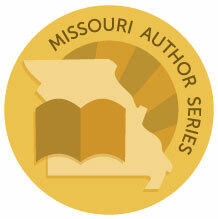 If you wish to nominate an author or self-nominate, use the Missouri Author Series category on our Submittable site to nominate. No full manuscript submissions (first 20-30 pages only). Original work only–no previously published or self-published books. Authors associated with Missouri State University or Moon City Press are not eligible.